On January 3, 2017, U.S. 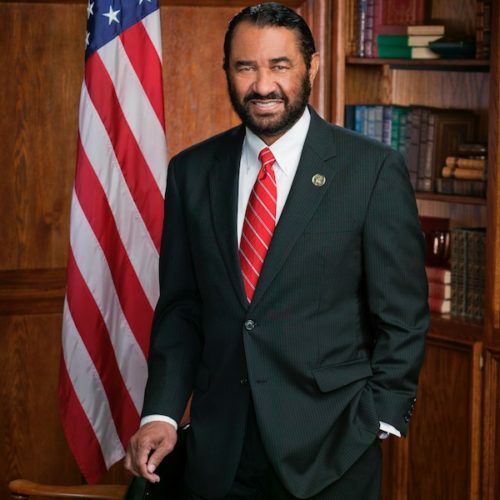 Congressman Al Green took the oath of office to serve the people of Texas’ 9th Congressional District and began his seventh term in the United States House of Representatives. As a veteran civil rights advocate, he has dedicated his life to fighting for those in society whose voices, too often, are not heard. Congressman Al Green currently serves on the Financial Services Committee. He sits on two subcommittees: Housing and Insurance as well as Oversight and Investigations, where he holds the position of Ranking Member. Within the Democratic Party he holds the position of Assistant Whip.